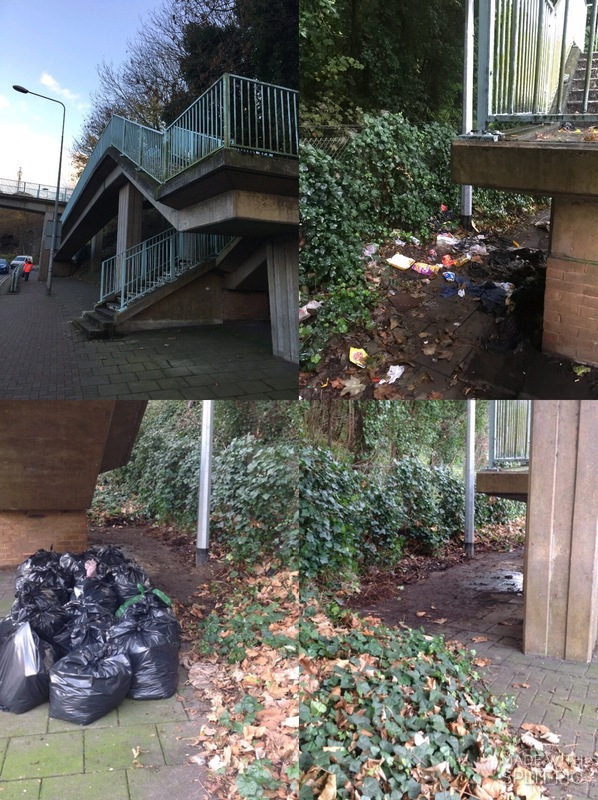 With help of the Community Wardens and the Probation community payback team they have cleared the litter behind the walk bridge, Network Rail had cleared their side late last year. 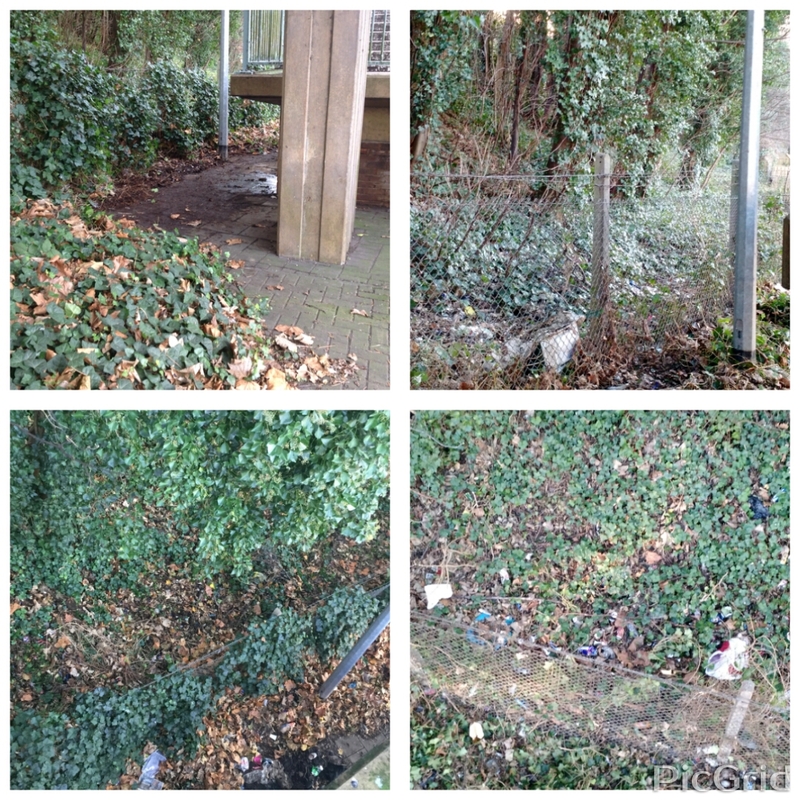 The probation community pay back team have removed large amounts of Ivy from the fencing. The hope that it will open up the area making it brighter though all operatives noted that unfortunately that area behind the walk-bridge is being used as a toilet.